Ali Peek is now stable in the hospital based on the picture above. 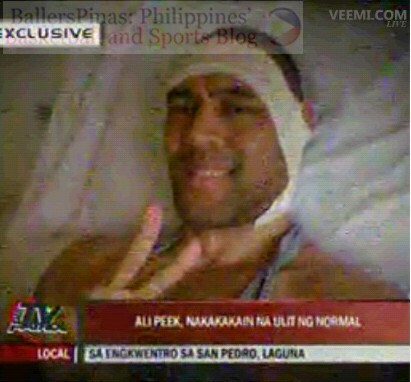 The news reporter in TV Patrol said that Ali can now move partially in fact he can now eat some food. That's a good sign considering that he suffered a gun shot in the neck, near his throat last November 7, 2011. That could only mean that his wound is slowly healing. Let's just continue praying for his fast recovery.